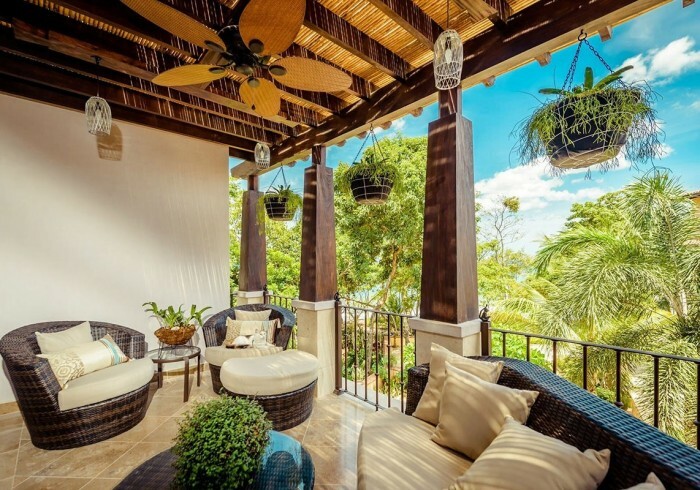 Casa Sonrisa expertly weaves together indoor and outdoor living areas. All four bedrooms, each with private bathroom, are separated by classy courtyards and fountains, which feature an outdoor BBQ space with immediate access to the fully equipped kitchen opening to the living room with fantastic ocean views. The outdoor dining table is the ideal spot to savor a meal to the sound of the crashing waves and calming ocean breeze. The infinity pool gives you a picture-perfect sight of the ocean. The studio bedroom on the lower level allows for more privacy and independence. It features a private courtyard entrance with a charming fountain, as well as its own kitchen and king size bed, evoking a more contemporary feel with mural-size original art by Abraham Valenzuela.